It finally got sunny today after what seemed like a eternity! I was looking forward to getting out but was worried about the wind picking up & shutting me down! Sure enough……..that’s exactly what happened! The harbour was kicking up some good sized waves & there was no way in hell I was going out in that stuff! I value my life! Thus, I was grounded once again but this time with great light that I couldn’t do anything with! I almost hate these sunny days more than overcast rainy weather. It’s like Mother Nature is teasing me!! I decided to take a few token shots anyways. Maybe tomorrow will be ok to get out? I want to see if the Lions have arrived yet in Cannery bay? I did get out today & it might be the last time for this week? The forecast for tomorrow & the rest of the week is strong winds! That means I won’t be going out! The wind is my bain! I went up into Fortune Channel,Gunner Inlet & Grice Bay for bears & didn’t find a single one! Very disappointing to say the least! To make matters worse,it had been sunny all day & than a large cloud system moved in & snuffed the light! I was striking out today! As soon as I got out in the harbour, I saw this floathouse being towed to it’s Summer location. Looked like a moving party was going on! They moved it to the northern side of Nielsen island. I have never seen that tug boat before? Must be from else where? 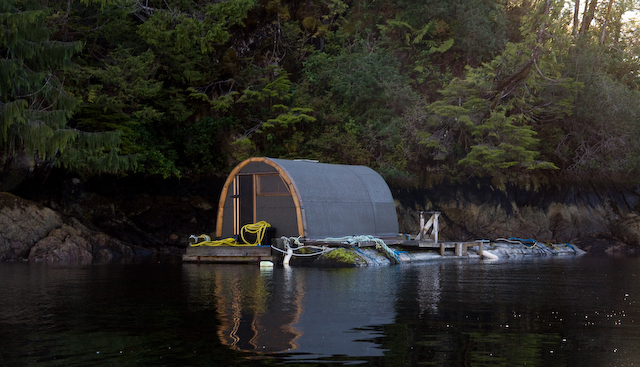 I was poking about in a spot called “Irvin Cove” & came across this float house. A pretty small one but well built! It was placed in a spot where it was hidden from view but the Government found it last week! The owner should be aware that a notice from the Gov is on his door! It was issued January 27th of this year. 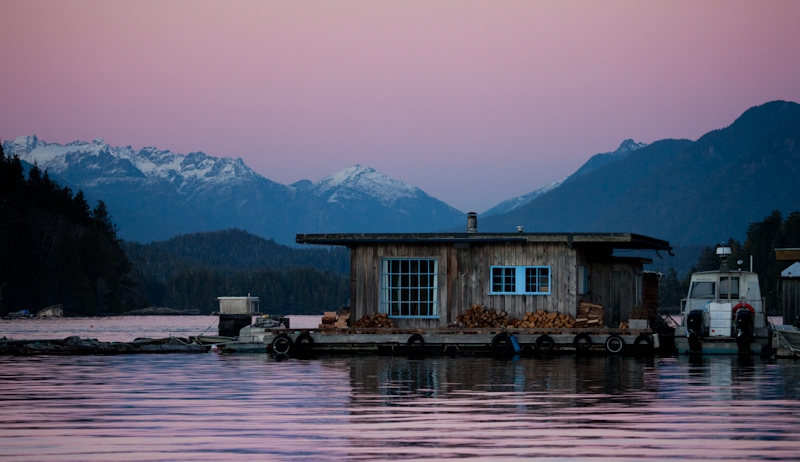 It appears they are cracking down on float houses. Too many problems I suppose? 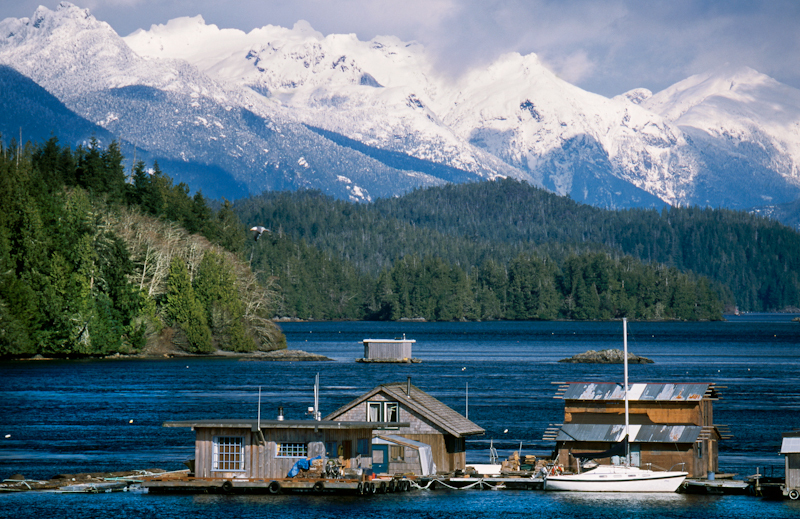 With the cost of living being what it is,many people cannot find or afford housing in Tofino! These types of living arrangements attract only the hearty souls! I too would love to have one! I even have a spot picked out. UPDATE : I have since found out that this is owned by Gord with the “Resolution”.